The chakras are centers in the human energy field which distribute the energy which supports the functioning of the body, mind and emotions. If there is too much or too little energy flowing through a particular chakra, this will have a negative impact on the functions associated with that chakra. Chakra balancing helps to bring about an optimal flow of energy through each chakra, and create balance in the sense that energy is more evenly distributed through the chakras. The chakra system is constantly changing in response to the stresses of life and living. Suppose, for example, that you spend many hours doing mental work during the day. This may cause the chakras associated with the functioning of the mind to become overstimulated because so much energy has been flowing through them. Your mind may become overactive and make it hard to relax orto sleep at night. energetic blocks present, or some distortion in the structure of the chakras themselves. Self Hypnosis is the little known art of taking the hand of your conscious mind and reaching into your subconscious to make positive changes. Everyone's subconscious is brilliant, free, and has a powerful influence on our conscious minds. The pressure is on and you are running out of time. You know you have to study, but you feel distracted and the longer you put it off, the harder it becomes. I'm pretty sure every student could relate to this at some point in their academic life. This problem is resolved with the help of Self Hypnosis. Self Hypnosis will work on so many levels to help you get back on track. First, hypnosis will very rapidly ease any tension as you deeply relax your mind and body, allowing the pressure of upcoming exams to reduce to zero level so you can absorb information with a clear mind. 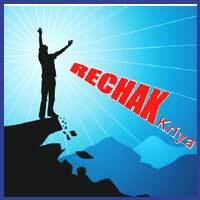 You will subconsciously learn better to obtain score more marks, store, and recall the information you study. Using Self Hypnosis to empower self discipline will ensure that you organize your study time in a stress free manner. Vertically through the centre of our bodies there are seven major power points or 'energy' areas called chakras. All the chakras are believed to spin while they transport energy, regulating our energy, emotions, and health. Our physical body is surrounded by a body of an energy field; each chakra point begins at one side and goes through this energy field. The chakras are invisible, and they need to be balanced and spinning in harmony for us to feel energized, healthy, and working at our full potential. When our system becomes unbalanced because of one chakra is spinning too fast or too slow we feel unsteady, insecure, and weakened. as a result, we become less content, healthy, confident, and effective. 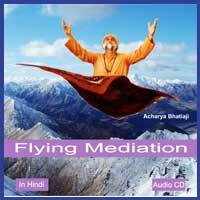 A common part of meditation is to reach a point where you imagine you are flying. Your body effectively loses all its feeling and you seem to receive no input to your senses anymore. It seems to be just your mind hanging in mid-air, watching down as it floats through your room, possibly upside down, as you no longer feel subjected to the forces of gravity. Riding on the wings of an Eagle in flight, The magick of meditation is about to unfold, Seeing clear and precise in the darkness of night, Let the world soar by, tour the Universe by cloud. 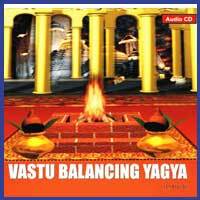 (Hindi) Release stress and emotions. Stress is a buildup of mental, emotional or other strain. Stress is a reaction to a given situation. It's the response to a challenge or the body's way of preparing for a difficult situation with alertness and focus. Stress is a major cause of all diseases. Stress free living is a gift readily available for all. We will be able to live freer, joyful, and healthier lives. Now you can Sleep Your Stress Away. When we are able to breathe through our whole body, sensing our verticality from head to foot, we are aligning ourselves with the natural flow of energy connecting heaven and earth. This increases oxygen intake, promotes efficiency in the entire breathing mechanism, revitalizes all the cells, tissues, and body organs and eliminates toxins. At the psychological level, it helps us relax, focus on our inner self and get "accurate and complete impressions" of our body, mind and soul. Soon, emotions and attitude will change and any negativity will lose its hold. So how is Breathe Meditation related to health and well-being? Feel the tight spots in your neck and shoulders, pain in your back, sore muscles or aching legs. These are the places where the energy doesn't flow smoothly. 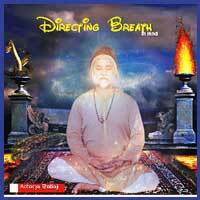 Breathe Meditation encompasses inner growth also. Before looking for answers, it is essential to understand the intimate relationship between mind and body, the many powerful and subtle ways in which they influence each other. By using Breathe Meditation precisely and regularly, the nervous system can be strengthened; tension and depression can be removed - along with bringing the two brain halves into a better balance. Through Breathe Meditation, you get to know your energy and, with a new sensitivity, you can begin to control it. This way the yogi can regulate the functions in the nervous system which are normally outside the influence of the will. The effects of this show in daily life as increase in creativity and concentration. When the energy flows are purified, it's hard to block mentally and give up. The common man always talks commonly. His journey is wrought with tensions of daily living. Be it business or relationships he is always running. Even a small ray of hope gives him happiness, but how long does it last? Through simple meditation, one can learn to live life with peace and calm. Inspite of this, only a chosen few are able to reach a higher state of conciousness where they can be in touch with their higher self. They are unaware of its presence. My effort is to show you the way ahead from simple meditation and attempt to reach the higher self.The title, Spiritual Journey, is my sincere effort to take you on this spiritual journey and try to get to know this magnificient treasure of energy which is the higher self. Cosmic Energy is the notion of a vital... life-sustaining force of living beings.... It is an auto-energizing force which creates a magnetic field and permeates each individual as well as the Cosmos at all levels.... This self-energizing force is the bond between the galaxies. More one meditates...the Cosmic Energy flows in the body....and more one goes deeper in meditation....the percentage of Cosmic Energy goes higher and higher in the physical body.....thus when the percentage of Cosmic Energy reaches to the highest level....then Enlightenment happens. With meditation...one becomes blissful and can reach where science has not reached yet.........as in meditation....we use our subtle bodies too......science can only discover through outer experiment....but with meditation...it's the inner experiment....wisdom is there only when mind is empty. Benefits of Cosmic Energy: This Cosmic Energy is essential to maintain the order of our life and to expand our Consciousness. Cosmic Energy is the base for all our actions and functions. Cosmic Energy is essential to: Maintain the order of our life, to lead a healthy and happy life, to totally involve in all situations we are in, to obtain Knowledge. More one absorbs this energy within himself; he is livelier, more blissful, happier, healthier, and more radiant. For expansion of our consciousness. Abundant Cosmic Energy is obtained, only through Meditation. 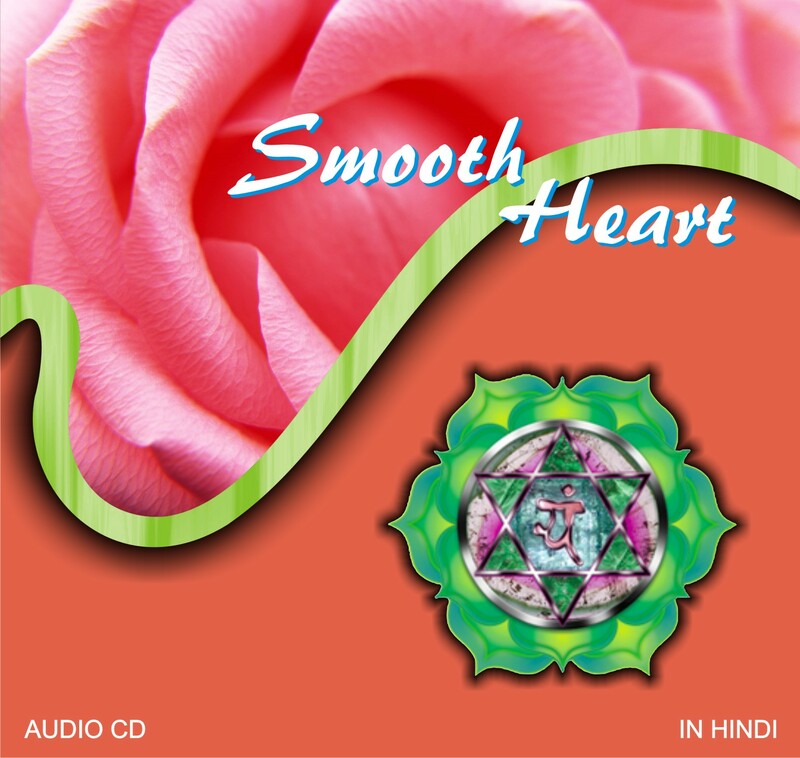 Smooth Heart Meditation reminds us that the peace, calmness and happiness we so long for can be found within us. We can feel Love and light pour into our spiritual heart so that it can cleanse, Smooth and strengthen our heart and radiate freely from our heart. With practice, as our heart becomes stronger, we become more peaceful and more joyful and able to follow our heart's own inner guidance to be happier in our daily life. Our connection to the True Source of Love and Light is strengthened, which also makes this meditation a way of deepening any other spiritual practices we may already be following. At times life can be difficult. When this happens we may be affected by others or even our own negative emotions, such as anger, arrogance or selfishness or by other upsetting situations. These negative emotions cause us stress and hurt our feelings, so instead of feeling good in our daily life we can be upset and burdened. After a while too much stress can affect our behavior and our overall well-being. Smooth Heart Meditation enables us to gently let go of all our emotional baggage no matter how big or small. It helps us to be able to forgive ourselves and others for any past mistakes, fears, worries, burdens or resentment so that we can live a happier, stress-free life with a more loving Smooth heart. This is a great benefit for ourselves and everyone around us. Benefits of Heart Chakra Meditation: Balance your Heart chakras, Enhance your mind body connection, Reduce stress anxiety and tension, clear emotional blockages, Expand your physical, mental, emotional and spiritual growth. This is a great opportunity to explore an amazing form of Spiral meditation. Known as the spiral meditation. 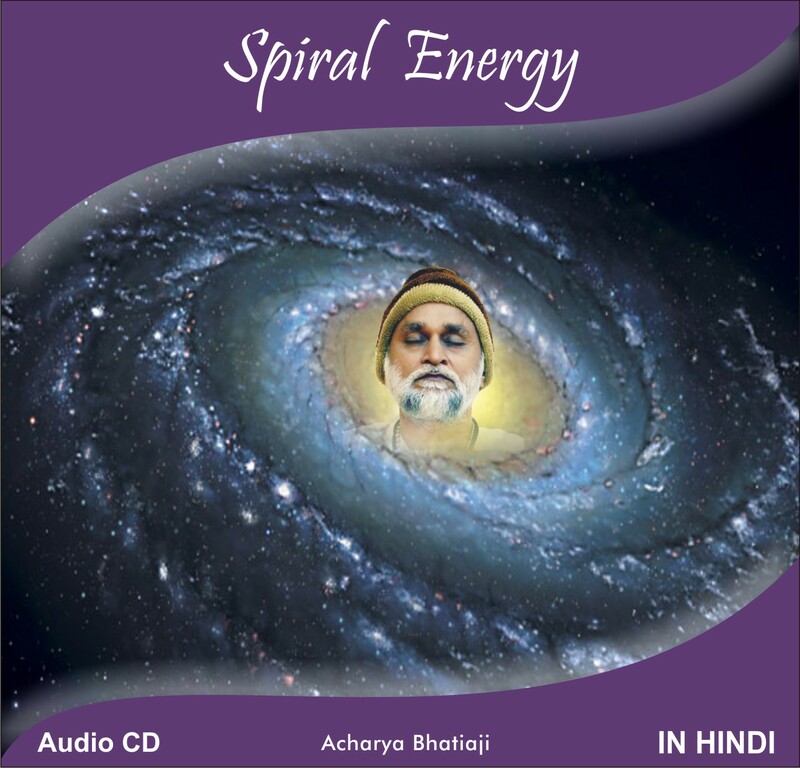 This is a meditation which is based on the understanding of the power of the spiral energy structure. During spiral meditation you receive large amounts of source spiral energy because you establish a deeper connection with the source. This spiral energy from the source is what gives us life and the ability to move, speak, hear and do everything else. This spiral energy is pure intelligence. The more you meditate the more of it you receive. You get some universal energy during sleep too, but nothing compares to the amount of spiral energy that meditation gives. It gives you better health and removes traces of diseases: You will generally feel better once you start getting more source energy. It will give you immunity to many illnesses and you will also feel comfort no matter where you are. It is hard to describe, but hopefully you understand what I mean. It gives you peace of mind: Source spiral energy is sacred, it is pure intelligence. It removes traces of worry and unhappiness and gives you total peace. As a result, nobody can make you feel completely negative because deep inside you will always remain peaceful.